Tonight I went to the 2006 Stockholm Beer Fest. It was a lot of fun, and I tasted many excellent and interesting beers! 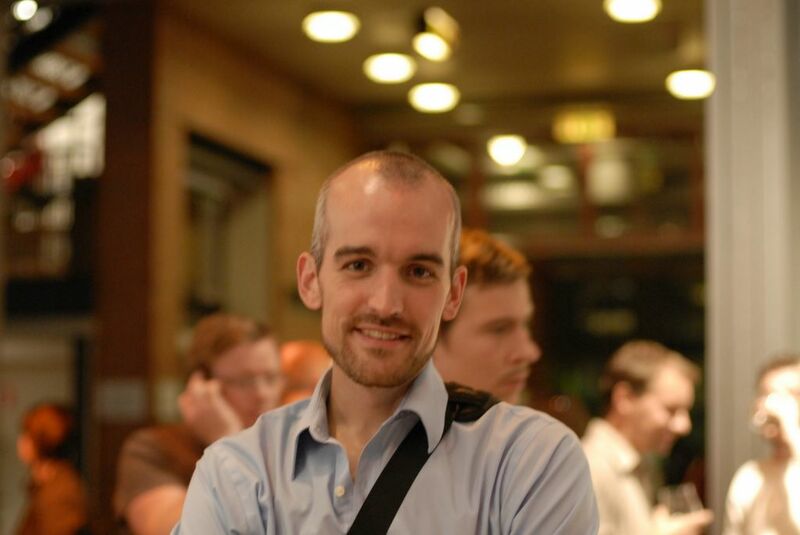 I posted eighty-one photos from the Beer Fest on Flickr. 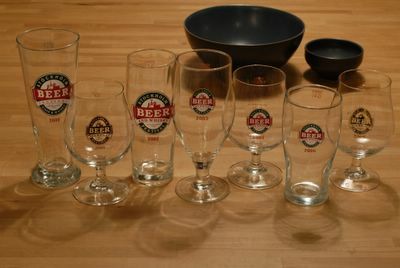 I now have a complete set of Stockholm Beer Fest glasses for the years from 2000 through 2006. 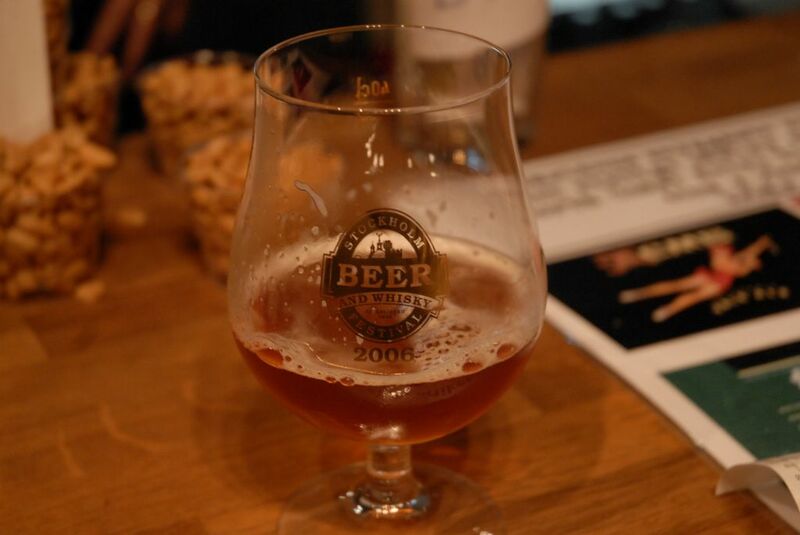 Look closely and you can see that in 2000, the festival was called the Stockholm Beer, Cider & Whiskey Festival, and that the festival celebrated its 10th Anniversary in 2001, only 9 years after the festival was established in 1992.